I’ve been a little bit obsessed with contact microphones lately. Recently, a personal project (that I hope to share soon!) led me to renting a very nice microphone: the Barcus Berry 4000 Planar Wave System. I mainly wanted to rent to see if it’s worth me buying, so I did a LOT of recording for the week I had it. 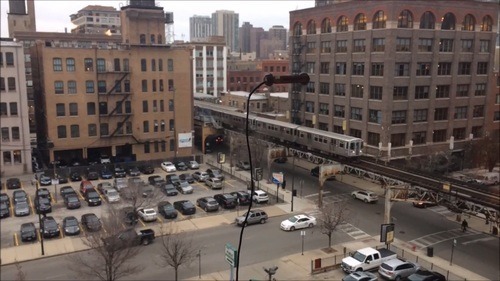 One of the unplanned recordings I did started with me placing the mic on a very large window. I originally wanted to tap and rub the glass, but after noticing how well it picked up the exterior ambience, I decided to just let it roll… capturing all of the CTA trains rolling by. My verdict: I want one of these!